Background : Magnesium ion gates the N-methyl-D-aspartate (NMDA) receptor and may protect the brain from NMDA receptor-mediated asphyxial injury. The present study evaluated the neuroprotective role of magnesium in birth asphyxia. Material and Methods : Forty term neonates with severe birth asphyxia were randomized to either the study group or the control group. Neonates in the study group received magnesium sulfate in a dose of 250 mg/kg initially within half an hour of birth followed by 125 mg/kg at 24 and 48 h of birth. Cranial computed tomography (CT) scan and electroencephalography (EEG) were performed for all the babies. Denver II was used for developmental assessment at the age of 6 months. Results : Two babies in each group died of severe hypoxic ischemic encephalopathy. 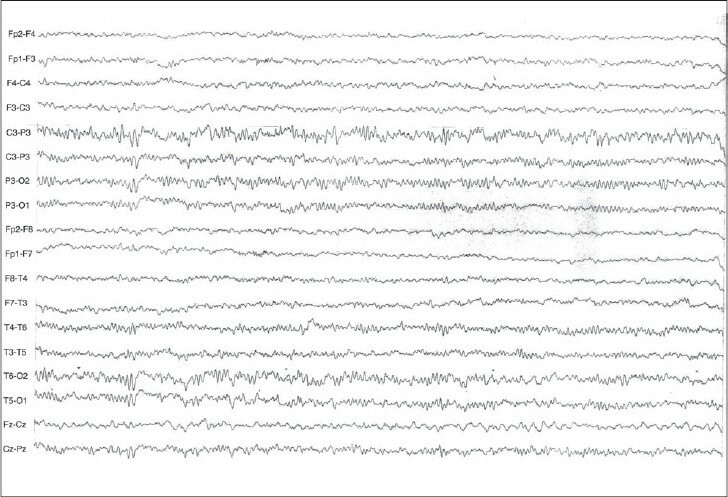 EEG abnormalities occurred in 43.75% of the cases in the control group compared with 31.25% in the study group. CT scan abnormalities were present in 62.5% of the control group compared with 37.5% of the cases in the study group. The Denver II assessment at 6 months revealed that there were five babies that were either abnormal or suspect in the control group compared with three in the study group. Conclusion : Magnesium is well tolerated and does appear to have beneficial effects in babies with severe asphyxia. More data is however needed and a large multicenter trial should be conducted. Objective : The minor physical anomaly (MPA) is believed to reflect abnormal development of the CNS. The aim is to find incidence of MPA and its behavioral correlates in Down syndrome and to compare these findings with the other causes of intellectual disability and normal population. Materials and Methods : One-hundred and forty intellectually disabled people attending a tertiary care set-up and from various NGOs are included in the study. The age-matched group from normal population was also studied for comparison. 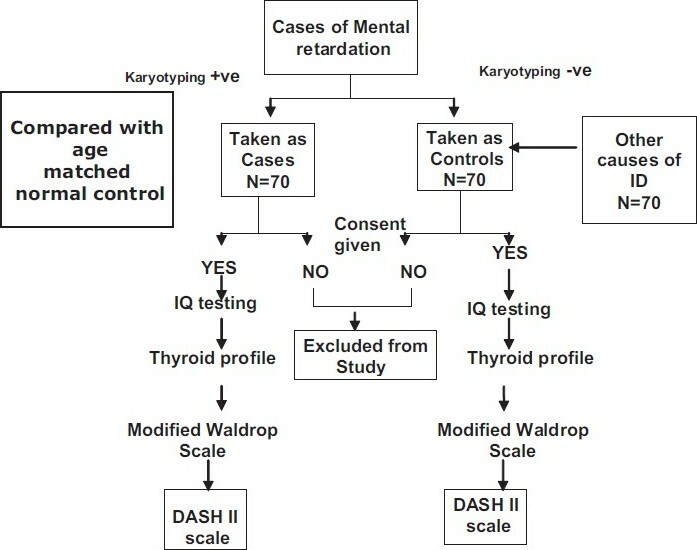 MPA are assessed by using Modified Waldrop scale and behavioral abnormality by Diagnostic assessment scale for severely handicapped (DASH II scale). Results : The Down syndrome group had significantly more MPA than other two groups and most of the MPA is situated in the global head region. There is strong correlation (P < 0.001) between the various grouped items of Modified Waldrop scale. Depression subscale is correlated with anomalies in the hands (P < 0.001), feet and Waldrop total items (P < 0.005). Mania item of DASH II scale is related with anomalies around the eyes (P < 0.001). Self-injurious behavior and total Waldrop score is negatively correlated with global head. Conclusion : Down syndrome group has significantly more MPA and a pattern of correlation between MPA and behavioral abnormalities exists which necessitates a large-scale study. Aim : To study the clinical profile of acute disseminated encephalomyelitis (ADEM) in children. Materials and Methods : All children admitted with ADEM during a period of one and a half years were included in the study. 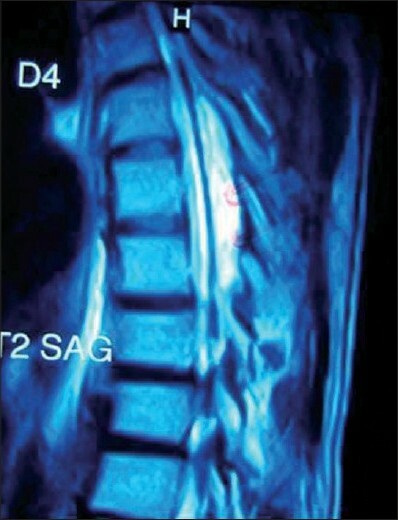 The diagnosis of ADEM was made based on the clinical presentation and suggestive MRI findings. All children were treated with intravenous methyl prednisolone, followed by oral prednisolone and followed up for varying periods up to three and a half years. Results : The sample consisted of 14 children with 11(79%) girls and 3 (21%) boys. The oldest child was 12 years and the youngest was a six-month-old infant. Acute febrile illness preceded the onset of neurological symptoms in 64% of children. The interval between the preceding illness and symptoms of ADEM varied from 7 days to 28 days (mean 12 days). The common presenting symptoms were fever, vomiting, headache, gait disturbance and generalized seizures. Neurological manifestations included altered sensorium, multiple cranial nerve involvement, quadriplegia and paraplegia, dystonia and choreiform movements, nystagmus, bladder involvement (both incontinence and retention), speech defect and double vision. Facial nerve was the most common cranial nerve involved. Psychological manifestations included aggressive behavior, psychotic symptoms and mood changes. One child each had features of acute psychotic episode and depressive episode. All children recovered fully. 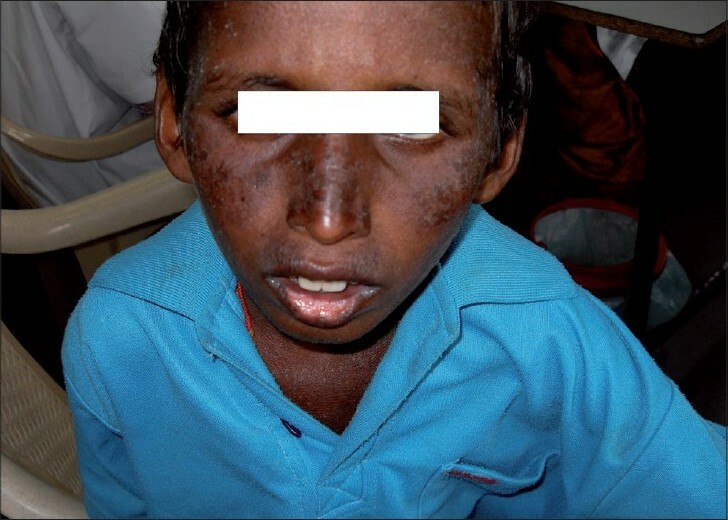 One child had multiphasic disseminated encephalomyelitis (MDEM) on follow up. Conclusion : Despite the serious neuropsychiatric manifestations, ADEM in children generally has good immediate outcome. Children with ADEM need long-term follow up for cognitive impairments. Objective : To re-emphasize that indirect revascularization surgery alone, where multiple burr holes and arachnoid openings are made over both cerebral hemispheres, is beneficial in the treatment of moyamoya disease (MMD) in children. 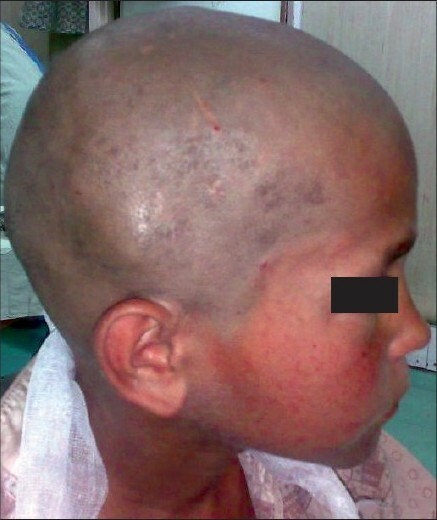 Clinical Presentation : We report a 10-year-old boy who presented with complaints of episodic headache for the last 5 years. At the peak of his headache he had visual disturbances and acute onset weakness of left-sided limbs, recovering within a few minutes. He had no focal neurological deficits. Radiological investigations revealed abnormal findings, demonstrating the features of MMD. Surgical Management : He underwent bilateral multiple burr holes, dural and arachnoid opening over the frontal, parietal and temporal regions of each hemisphere. The elevated periosteal flap was placed in contact with the exposed brain through each burr hole. Results : On 6-months follow-up he had only one episode of transient ischemic attack. Postoperative four vessel angiogram demonstrated excellent cerebral revascularization around the burr hole sites, and single photon emission computerized tomography imaging showed hypoperfusion in the right temporo-occipital area suggestive of an old infarct with no other perfusion defect in the rest of the brain parenchyma. Conclusion : In children with MMD this relatively simple surgical technique is effective and safe, and can be used as the only treatment without supplementary revascularization procedures. This procedure can be done in a single stage on both sides and the number of burr holes made over each hemisphere depends on the extent of the disease. Developmental malformations of the cortex in neuronal migration disorders result in constellation of findings on radiological scanning. Isolated defects are common but sometimes they occur in varying degrees of combination giving a unique appearance on the imaging studies. 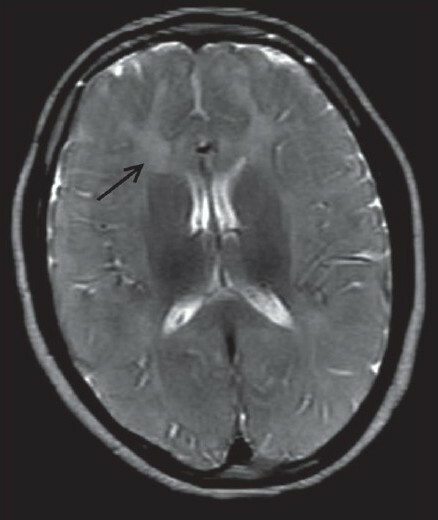 We describe a case of neuronal migration disorder in which the computed tomography scan showed the presence of lissencephaly, colpocephaly. and Septal agenesis. These findings make the ventricular system appear in shape of a crown, which we refer to as "CROWN SIGN", first described in neurosurgical literature. 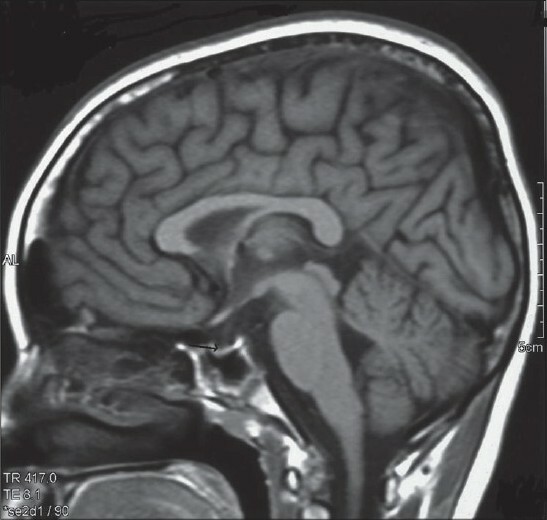 A 15-year-old female presented with seizures, right-sided hemiparesis, hemiatrophy of the right side of the body and mental retardation. 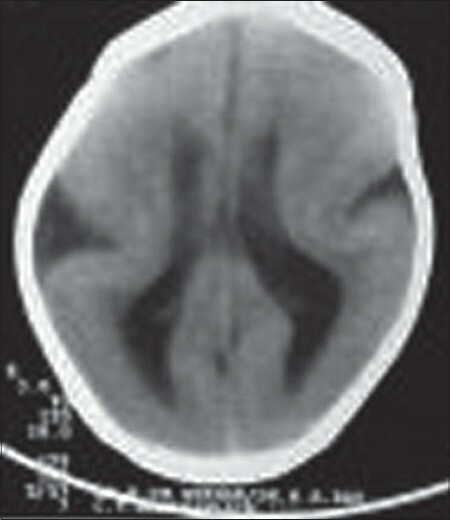 MRI brain revealed characteristic features diagnostic of congenital type of cerebral hemiatrophy or Dyke-Davidoff-Masson syndrome. Homocystinuria is an inborn error of amino acid metabolism in which homocystine accumulates in the blood and produces a slowly evolving clinical syndrome. 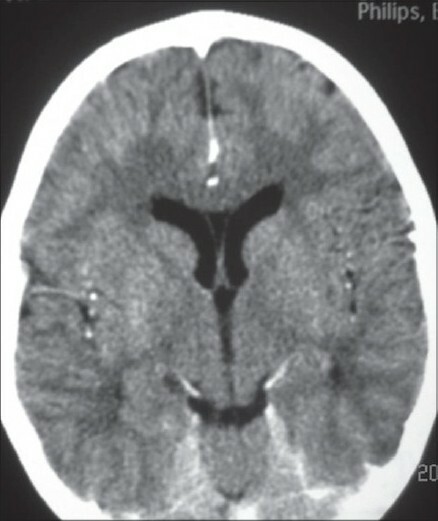 We are presenting a case of a 4-year-old female child who presented to us with stroke and also had megaloblastic anemia. She was diagnosed as having homocystinuria type-1, and she responded to treatment. A 14-year-old male presented with bilateral papilledema, growth retardation and absent secondary sexual characters. He had a past history of fever, headache and fatigue of 6 months duration. The diagnosis of intracranial hypertension (IH) was confirmed by an increased intracranial pressure and normal neuroimaging studies of the brain, except for partial empty sella, prominent perioptic cerebrospinal fluid (CSF) spaces and buckling of optic nerves. Evaluation showed erythrocyte sedimentation rate (ESR) of 150 mm/hr, positive antinuclear antibody (ANA), anti dsDNA and anti ribosomal P protein. Renal biopsy revealed diffuse segmental proliferative lupus nephritis (LN) class IV S (A) confirming the diagnosis of systemic lupus erythematosus (SLE). Treatment of LN with intravenous pulse methyl prednisolone and cyclophosphamide was effective in normalizing the CSF pressure, resulting in express and dramatic resolution of symptomatology. In a case of IH, SLE must be considered. IH, growth retardation and absence of sexual characters may be presenting manifestations of a chronic systemic inflammatory disease like SLE. These manifestations may act as a pointer to associated advanced grades of LN, which can be totally asymptomatic and missed without a renal biopsy. 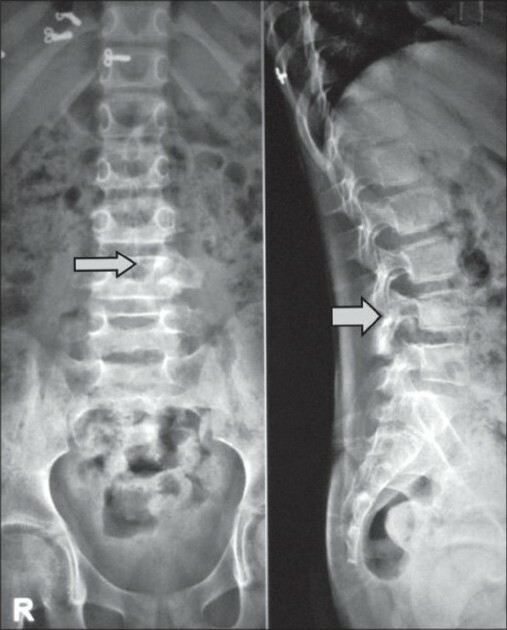 Split notochord syndrome (SNS) is an extremely rare congenital malformation associated with anomalies of the vertebral column, gastrointestinal tract and central nervous system. Twenty cases of SNS associated with dorsal enteric fistula have been reported in literature till date. The present report describes a unique case of SNS associated with lumbosacral meningomyelocele, dorsal neuroenteric fistula and dorsal herniation of right kidney along with vessels. The neonate was well managed by excision of enteric fistula, closure of duramater of meningomyelocele and repair of posterior wall hernia after placement of kidney in renal fossa. This kind of entity is uncommon and not been reported earlier. 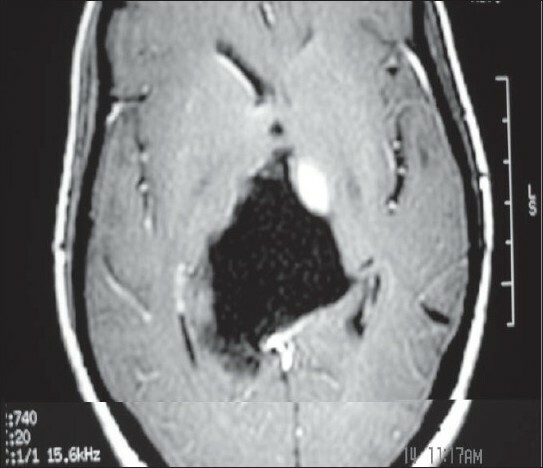 Clear cell meningioma is a rare subtype of meningioma seen mainly in pediatric patients. Supratentorial location is an unusual site of occurrence and its natural history and prognosis are not well described in the literature. 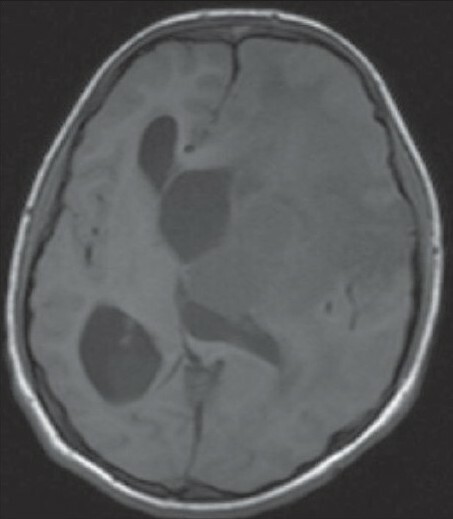 We present a unique case of a left-sided frontoparietal tumor in a 15-year-old child who was managed successfully with gross total surgical excision and is recurrence-free at 18 months follow-up. A favorable clinical behavior and a longer symptom-free interval can be expected after gross total removal. The patients should be followed after successful surgery and other modalities of therapy should be used for recurrence.